A new dedicated book & comic shop, The Last Page, plans to open its doors in Starkville in the next couple of weeks. It will be located at 101 South Washington Street in downtown Starkville. Owner Sky Thompson stated that “The main focus will be comic books. 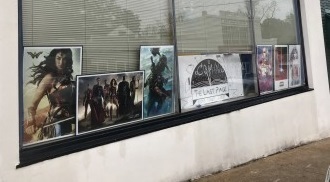 . . Starkville hasn’t had a comic book store in 10 or 15 years.” They also plan to offer buying and selling of used books, as well as a trading setup. They also plan to hold community events such as card nights weekly book club meetings:”We have plenty of space and there will be a lot of chairs and tables for people to come hang out,” she said.